Since it’s so easy to start a blog these days, lots of people are doing it. You probably put lots of time and effort into the great content you deliver but are at a loss for how to increase traffic to your blog. If you listen to a lot of the gurus out there, they are telling you to spend, spend, spend! You may be afraid to spend money on ads and, otherwise, have no idea how to attract visitors to your website. We know from experience, this was our reality, too. Is Your Website Ready for More Traffic? Take Time to Evaluate. Before you attract visitors to your website, you want to make sure you have a few key elements in place. Is your website welcoming? Are your navigation links working properly? Do you have headings that make sense so when people visit your site they understand what you are offering and know where to find it? I might suggest you have a “Start Here” tab that educates your readers on what your website is all about and how it will benefit them. Be organized. When you increase traffic to your blog you want to do it with intention and on a schedule. Be consistent. Grab a calendar and begin to pencil in the days of the week that you want new content to appear. You can then begin to schedule out the content itself so there is no question what you are writing when it comes time to write your posts. For example, people will begin to expect a new blog post from you on Tuesday and a new YouTube video from you on Friday. Another benefit of having an organized schedule is you will know exactly what keyword and other research and learning you need to do for each new post. You can even schedule that into your day. Clarify Your Audience. It is vitally important to ask: Who exactly are you speaking to? What are their struggles? What answers are they looking for? 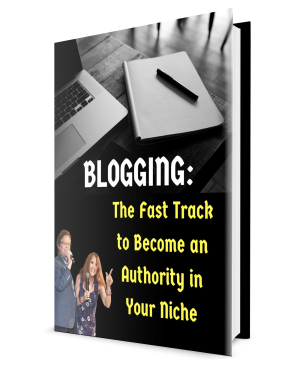 When you can write blog posts that speak to your audience’s deepest need, darkest hour, burning desire, you will increase traffic to your blog almost automatically. If you don’t know what is relevant to them, ask! Perhaps you will even want to do a survey. So, when writing to our audience, being relevant, and addressing needs, what exactly are these Killer Tips? If you’re looking to gain attention and attract visitors to your website, write about things that are relevant to your audience. New trends are emerging every day. People like to stay ahead of the curve. Visit Google Trends and see what people are interested in and talking about. If you can find something that fits with your niche or business focus, capitalize on this. Images will always be pivotal in catching attention. There is an additional benefit as well we often miss. When people like your images, they are more likely to use the image on their own website which will create a backlink. Backlinks are something we’ll cover in another lesson, but for now suffice it to say backlinks are a good thing! Good images are also easy to share on social media. Using catch images is great way to increase traffic to your blog from social media platforms. When an article has a great feature photo, others will share and comment. Be sure that you are including that invitation (or instruction) in your posts. Include a clear, direct invitation or call to action (CTA) in all your blog posts. Let your readers know what to do for their next step. Point them to a resource, another blog post, or a product that you can monetize. People love stories. I’m sure you can relate to this. 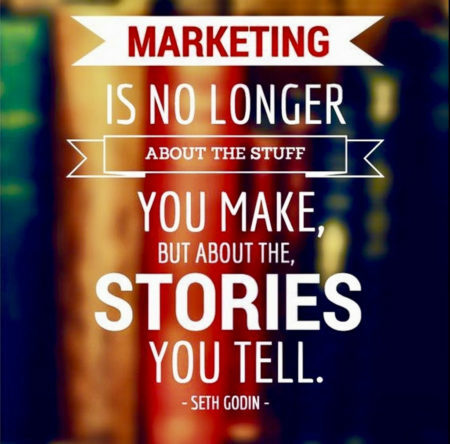 In business, a story or a testimonial can be powerful in inspiring or moving your target audience in the direction you want them to go. When people hear your story, in particular, it will help the connect with you on a more personal, intimate level. 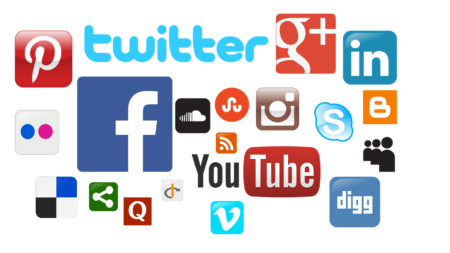 You can use this to attract visitors to your website in groups, on your personal profile, and on your business profiles because you are talking about you! In addition to your own stories, if you can get testimonials from your customers, clients, friends, family, etc., this will speak volumes as social proof for what you are selling or promoting. Always be looking for happy customers and, if you can get them to write-up a short testimony about how you or your product/service helped them, you can leverage these results and reviews often. Always write your headline, the catch phrase for your blog articles, with both readers and SEO (Search Engine Optimization) in mind. That is, be thinking of both your prospective readers and search engine optimization always. Ask questions like: What will grab people's attention and speak to their needs? What will make the search engines happy? What keywords will be most likely to rank well? The goal here is both appear on page one in the SERPs (Search Engine Results Pages) and increase the CTR (Click Through Rate) to get more visitors to your website and thus increase traffic to your blog. When you can have SEO working for you, that’s when the magic happens. There are paid services you can use to boost your SEO, but when you are first getting started you can start with the basics, like great headlines and great keyword usage. 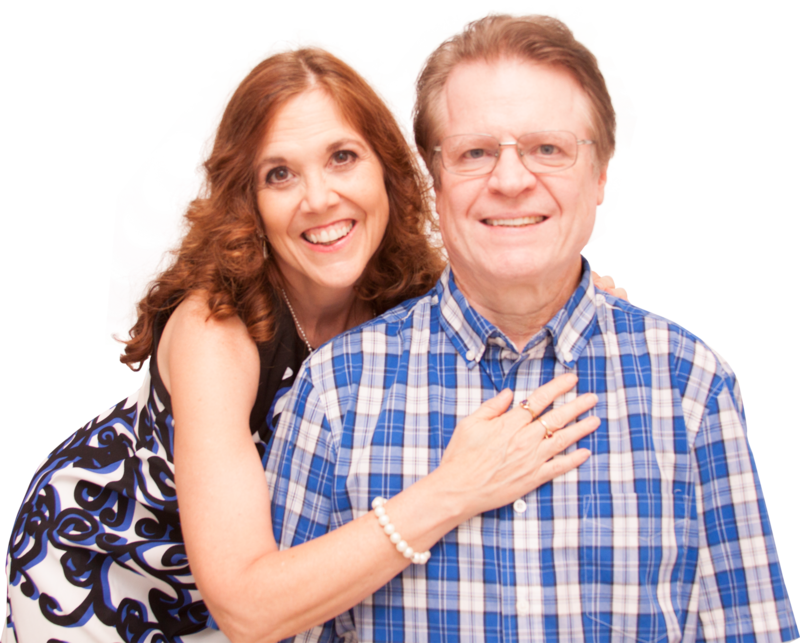 To start you off, here is some free SEO training from our friend Rob Fore. Keyword research can be one of the most important tasks you master in your business. (Here is some free training on keyword research.) Before you even start an article, you need to know what people are looking for. 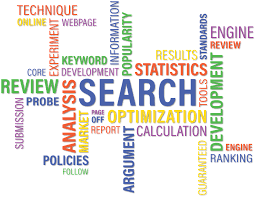 The search terms they use are called “keywords.” When you can become a master in deciphering the best keywords for a topic you want to write about, this is a sure way to attract visitors to your website Keywords are the key! SEO or search engine optimization is how you can increase traffic to your blog. However, here’s a tip – be careful not to “over-optimize” because you are writing to humans not machines! Use these keyword phrases in your titles and content (as indicated in the free training) to maximize your SEO potential. What we mean here is the importance of quality over quantity. It is best to have a great post full of content and value rather than lots of lesser quality posts that really don’t say anything. You may even be able to combine several “so-so” posts. Look at the content you have posted and see if you can increase its value. As you learn new things, you can always go back and “freshen up” your older posts with the new information you are learning. You can even be intentional with this and literally schedule your older posts for updating. As your audience grows, it is only wise to bring older articles back into the light. For this, some marketers use a paid post planning service. However, you can do something similar simply using a calendar reminder. Having a list of people who routinely see your content is crucial. That list should never be stagnant. You want it to grow every day. Our tip here is that you should always be looking for people to add to your email list. People you are talking to, connecting with, sharing your story with are all great prospects to add to your list. You can ask something simple like, “Are you on my email list already? If you’re not, it’s the perfect way to stay in the loop.” Nobody wants to be left out. In your texting and other social media connections, always focus on getting people to your list. 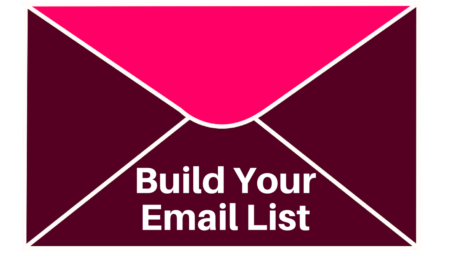 Your email list is YOUR ASSET! It is the venue by which you notify your audience of all new promotions, deals, specials, etc. Your list is something nobody can take away from you. Invite everybody you network with to be on this list! 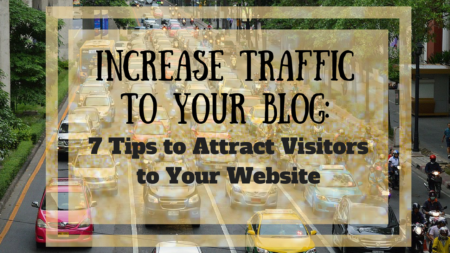 Here you have 7 tips to attract visitors to your website and increase traffic to your blog. Of course, there are many more ways to increase traffic to your blog. For now, however, you have some great tips to attract visitors to your website, so you can to move the process along. If you have followed the outlined steps, you are moving in the right direction. This online marketing industry is exciting, but we fully realize navigating uncharted territory can be frightening! Just do your best, and ask for help from others when you need it. Maximizing the potential of your blog posts is vitally important. If you are serious about blogging, consider learning from a true expert; check out The Three Minute Expert by Ray Higdon. Why not take advantage of every tool possible to move forward? I see your post was published quite a while ago, but I just found it. I’m a fairly new blogger so really appreciate your tips. I suspect I should focus on #4 the most. I get all sorts of positive feedback from my (limited number of) readers, but don’t think very many of them are sharing my posts. I’ll have to figure out how to work on that, too. Thanks for your comment. We’re always glad to be of help. Feel free to contact us if you have questions.